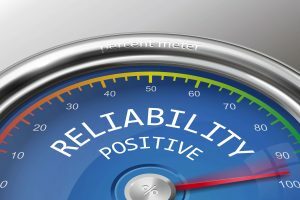 Reliability Predictions offer a key advantage as part of your overall reliability analysis toolset. Reliability Predictions are used to estimate the predicted failure rate or MTBF of a product or system during any portion of the product lifecycle. 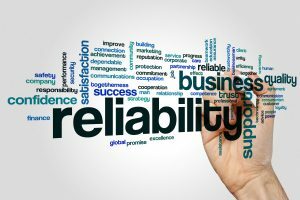 Reliability Predictions offer a path to product improvement by supporting the ability to “design in” reliability. At the early design stage, Reliability Predictions enable you to perform an assessment of likely failure rate characteristics and then make design changes as needed for areas of weakness. Reliability Predictions can also be used in the early design phase to evaluate different design options by taking into account the reliability profiles of the various alternatives. Allowing you to perform design trade-off analysis with metric-based assessments empowers you to make the best decisions for your business. Reliability Prediction’s historical roots are in the military and defense sector, but over the years have been adapted and broadened for use in a wide range of industries. Essentially, the advantages afforded by reliability prediction analyses make it an important part of managing and maintaining reliability and quality objectives. 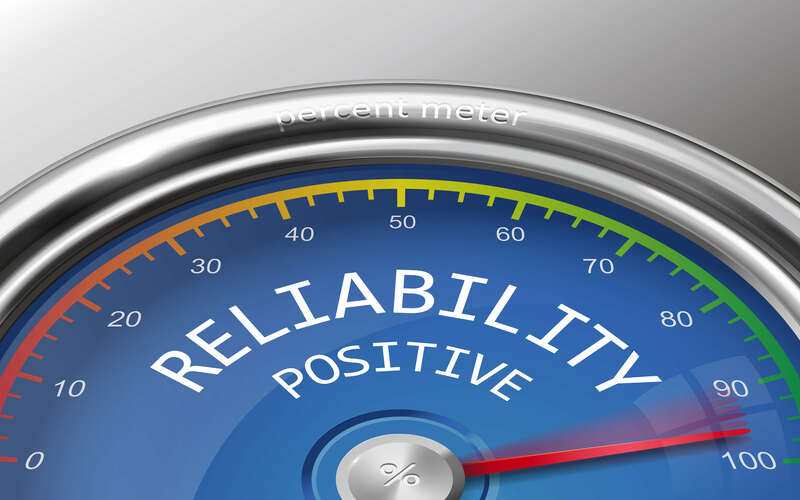 Reliability Predictions offer a set of equations to model the failure rates of a variety of electromechanical components that make up a product or system. These equations were built by analyzing a huge amount of data over a long period of time and then using statistical analysis to determine the equations which best modeled the failure characteristics of the accumulated data. The variables used in the equations vary based on component type, but include data such as device ratings, temperatures, operating parameters, and environmental conditions. MIL-HDBK-217 is one of the most widely known Reliability Prediction standards. It was one of the first models developed, and many other reliability standards available today have their roots in MIL-HDBK-217. MIL-HDBK-217 stands for Military Handbook: Reliability Prediction of Electronic Equipment was originally developed and published for use by the Department of Defense. Over the years there have been many updates to the MIL-HDBK-217 document, which have resulted in the suffix designations in the document name: MIL-HDBK-217D and MIL-HDBK-217E Notice 1 for example. The latest release of MIL-HDBK-217 is MIL-HDBK-217F Notice 2.
πE factors in the environment that the device is operating in, such as in space, in an aircraft, in the sea, on the ground, etc. The equations, the variables, and the data parameters needed vary for all the different components modeled. The Part Stress section of MIL-HDBK-217 includes complete details on all the equations and how to assess the variables used in the equations. The second section, Parts Count, is useful in early design stages when the design is still in progress and not all operating parameters are known. Parts Count predictions do not require as many data parameters for analysis compared to Part Stress predictions. Parts Count analyses can be used as an estimation technique, and, in general, are not as accurate as Part Stress analyses. By using Parts Count models, you can obtain early failure rate assessments and then refine them as your product design becomes more finalized. where πg is a generic failure rate based on a subset of information; in this example it is based on device technology type, environment, and device complexity. In many cases, Parts Count is used to start a Reliability Prediction analysis. Then, as the product design becomes more firm and data parameters are established, the Parts Count prediciton is moved over to Part Stress, maintaining all the data already entered during the Parts Count assessment. Another widely used and accepted Reliability Prediction standard is commonly referred to as Telcordia. Early on, Telcordia was referred to as the Bellcore standard. The full name of the Telcordia standard is Telcordia: Reliability Prediction Procedure for Electronic Equipment, Special Report SR-332. The Telcordia standard has also been through several updates and revisions, which are designated by the Issue Number. Telcordia Issue 4 is the latest Telcordia Reliability Prediction standard. Initially, the Bellcore/Telcordia standard was developed for use in the telecommunications industry. Today, Telcordia is commonly used in the commercial sector, but its use over the years has become widespread and is now used throughout a broad range of industries, even those related to military and defense applications. Additionally, the πE, which factors in the environmental condition, is factored into the overall failure rate calculation. Once the device level black-box steady state failure rates are determined, the unit level and system level failure rates can be calculated. Essentially, any real-world data available can be used to further refine the estimated failure rate values. It should be noted that any of this additional data is not required to perform a reliability prediction based on the Telcordia standard. It is up to the analyst to determine if any of this additional data is available and if it is helpful to include in the reliability prediction analysis. In some cases, Telcordia analyses are initially performed to obtain the black-box steady state failure rates, and then updated as laboratory, field, and burn-in data become available. Models for components not found in MIL-HDBK-217, such as lithium batteries, hard disk drives, AC/DC power supplies, gyroscopes, and many more. Early life calculations to help analyze failure rates during initial product introduction, or the early life phase, when infant mortality rates are a factor. Augmenting failure rates based on data obtained from laboratory test data. By factoring in test data information, your predictions are weighted according to the amount of test data you have. Augmenting failure rates based on data obtained from fielded products. By adjusting your failure rates based on this real-world information, your predictions will more accurately reflect your product performance. China’s GJB/z 299 is the most widely used Reliability Prediction standard in the extensive Chinese market. The full name of the standard is GJB/Z 299: Reliability Prediction Model for Electronic Equipment. Its revisions and updates are designated with suffix notations similar to MIL-HDBK-217. The most recent China GJB/z standard is China’s GJB/z 299C. China’s GJB/z 299 Reliability Prediction standard has its roots in MIL-HDBK-217, and has been developed to align with the procedures and devices found in China. In a similar fashion to MIL-HDBK-217, there are two components of the China’s GJB/z 299 standard: the Part Stress section and the Parts Count section. The Part Stress section includes complete details on all the equations and how to assess the variables used in the equations. Parts Count predictions do not require as many data parameters for analysis compared to Part Stress predictions, and are meant to be used in early design when not all data parameters are known. Typical usage is to start with a Parts Count analysis and then move to a Part Stress prediction as the design becomes more finalized. China’s GJB/z 299 also includes an appendix for failure rate analysis for imported components, or those not manufactured in China. This enables the Chinese reliability prediction standard to be used across a broad range of products that include components manufactured across the globe. πQ factors in the quality of the device based on how it is procured. C1 and C2 factor in the complexity of the device, such as the number of gates or transistors. πT factors in the ambient temperature and any temperature rise associated with the device itself. πV factors in the voltage stress. C3 factors in the package of the device, or how it is manufactured and placed in the system, such as surface mounted and/or hermetically sealed. πL factors in how long the device has been in production. 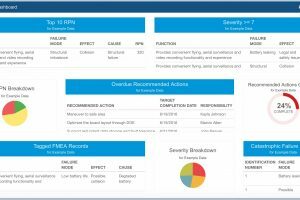 Relyence takes the very detailed process of performing a reliability prediction analysis based on one of these standards and makes it easy, accurate, and efficient. In Part 2 of this series, we will dive deeper into these capabilities and other advantages of Relyence Reliability Prediction. Relyence offers a free fully functional trial of our complete tool suite – register for yours today! Feel free to contact us, or call today at 724-832-1900 to speak to us directly about your requirements or to schedule a free webinar.